With data breaches occurring as often as they do, companies across the globe must face the reality that cyber risk cannot be ignored. 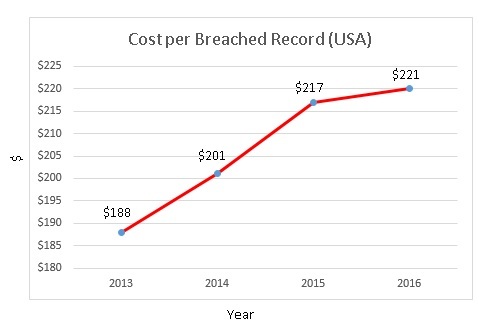 Often, costs to respond to or manage a data breach can cripple or destroy a company. Impacts such as reputational harm, business interruption, extortion, legal exposure, and loss of critical data must be addressed proactively and by many departments within an organization. The responsibility for proper cyber risk mitigation falls on more than the IT department. Organizations that involve their board, C-suite, risk management department, IT department, and others not only greatly reduce their chances of a breach, but also decrease the effective cost of a breach. Having a breach response/business continuity plan also reduces the impact of a cyber event and helps ensure your company can rebound, restore operations, and protect the company’s assets and reputation.